Washington, D.C. – (Jan. 22, 2010) The NFL Players Association, National Basketball Players Association (NBPA), National Hockey League Players’ Association (NHLPA) and Major League Baseball Players Association (MLBPA) today announced the creation of the “One Team 4 Haiti” campaign to support the Clinton Bush Haiti Fund’s focus on the country’s earthquake relief and recovery efforts. The campaign will launch with a text message fundraising effort supporting the Clinton Bush Haiti Fund. In the U.S., supporters can text the word “TEAM” to 20222 to donate $10. Canadian supporters can text the word “TEAM” to 20222 (starting on 1/23/10) to donate $5. The amount will be charged to donor’s cell phone bill. One hundred percent of the proceeds raised by the texting campaign will go directly to relief efforts. The “ONE TEAM 4 HAITI” campaign will also promote relief efforts in Haiti by airing public service announcements featuring professional athletes from all four major sports. The earthquake that rocked the coast of Haiti killed or injured a devastating number of people. Even more were left in need of aid, making this is one of the major humanitarian emergencies in the history of the Americas. In the aftermath of the disaster, President Barack Obama asked President Bill Clinton and President George W. Bush to raise funds for immediate, high-impact relief and long-term recovery efforts to help those who are most in need of assistance. In response, the two Presidents established the Clinton Bush Haiti Fund (CBHF) to respond to unmet needs in the country, foster economic opportunity, improve the quality of life over the long term for those affected, and assist the people of Haiti as they rebuild their lives and “build back better.” The Clinton Bush Haiti Fund will do this by working with and supporting the efforts of reputable 501(c) (3) nongovernmental and nonprofit organizations. Presidents Clinton and Bush oversee the CBHF through their respective nonprofit organizations, the William J. Clinton Foundation and Communities Foundation of Texas. One hundred percent of donations made to the Clinton Foundation and the Communities Foundation of Texas go directly to relief efforts. For more information, visit www.clintonbushhaitifund.org. The NFL Players Association is the exclusive collective bargaining agent for all players employed by clubs of the National Football League. Founded in 1956, the NFLPA works to ensure that the rights and interests of NFL players are protected. In addition, the NFLPA strives to be a valuable resource and to maximize player opportunities on and off the field through membership programs and community activities. For further information, visit www.NFLPLAYERS.com. The Major League Baseball Players Association (www.MLBPLAYERS.com) is the collective bargaining representative for all professional baseball players of the thirty Major League Baseball teams and serves as the exclusive group licensing agent for commercial and licensing activities involving active Major League baseball players. On behalf of its members, it operates the Players Choice licensing program and the Players Choice Awards, which benefit the needy through the Major League Baseball Players Trust, a charitable foundation established and run entirely by Major League baseball players. The National Hockey League Players' Association (NHLPA), established in 1967, is a labor organization whose members are the players in the National Hockey League (NHL). The NHLPA works on behalf of the players in varied disciplines such as labor relations, product licensing, marketing, international hockey and community relations. In 1999, the NHLPA launched the Goals & Dreams fund to give back to the game they love. Since inception, more than 40,000 deserving children in 22 countries have benefited from the players' donations of hockey equipment. Goals & Dreams has donated more than $18-million to grassroots hockey programs making it the largest program of its kind. 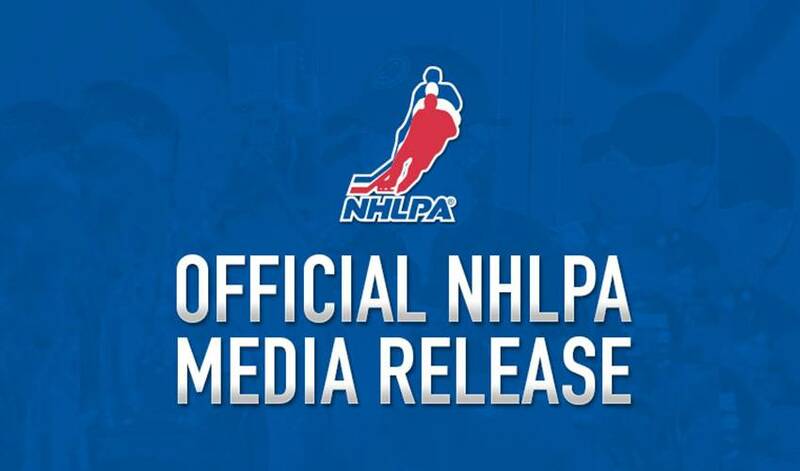 For more information on the NHLPA, please visit NHLPA.com. As the recognized labor union for all NBA Players, the NBPA has fought to promote the best interests of NBA players both on and off the court for over 40 years. Whether we are negotiating a collective bargaining agreement, prosecuting a grievance on a player’s behalf, or counseling a player on benefits or educational opportunities, our mission remains the same – To ensure that the rights of NBA players are protected, and that everything possible is being done to help players maximize their opportunities and achieve their goals on and off the court. www.NBPA.com.